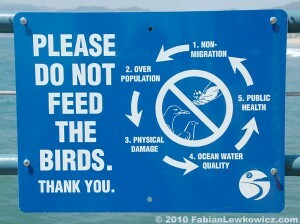 Do not feed the birds!! When my brother and I were children, my parents would always take us to the pond and we would feed ducks little pieces of bread. Even in my own backyard we would feed birds tiny pieces of bread as well. However, after scrolling through my Facebook feed and seeing a video about why ducks and certain birds should not have bread, I was really concerned about this. I never knew that this innocent act was affecting aquatic birds across the nation. The null hypothesis will be that the bread does not affect the waterfowl birds at all and the true/proven hypothesis is that feeding birds stale bread can be very harmful due to various reasons. This article online created by The Canal & River Trust of the UK stated that “20% drop in the number of people feeding the waterfowl birds,” and that waterways should be clear from any human foods. The Humane Society of the United States online states numerous reasons for why people should not be feeding waterfowl birds because it can cause death. It is extremely dangerous to give the birds certain foods because the bird can develop a condition called “Angel Wing.” Just observing the name of condition, one can predict that it could lead to a death, since when one thinks about an angel that person most likely thinks of heaven. To sum it up, when the bird develops the angel wing, the bird simply cannot fly. If the bird cannot fly, it affects its way of life. For example, the bird cannot fly south for winter, the bird cannot fly away from certain predators, or the bird cannot fly out of a situation it is in. Therefore, the bird cannot reproduce as well. When my brother and I would feed the birds we would throw the little stale pieces of bread on the ground and the birds would come and eat it. However, where you throw the bread could be where a bird had defected. There are numerous diseases a waterfowl bird can develop when being fed human foods. In this article created by the World Organisation for Animal Health, it displays the common infection only within ducks, geese and swans called Duck virus enteritis (DVE) which is a “contagious infection.” This disease causes the birds to weaken and the virus is seen within the liver, spleen or kidney tissue. In this article created by USGS National Wildlife Center it explains another disease birds can develop called Avian botulism. The disease is caused by decomposing vegetation and warmth and this causes the birds to not be able to fly. Secondly, feeding the birds does not only causes certain diseases it can also causes aspects like overcrowding and different behavior in the birds. If there is overcrowding in certain parks, this can lead to unsanitary measures and of course feeding the waterfowl birds causes different behavior since it can make them lose their ability to even migrate. We can conclude that feeding waterfowl birds human foods can lead to a negative measures. This is a negative correlation because the more human food we give them, the less waterfowl birds there will be. If we try to stop the human race from feeding these waterfowl birds human foods, the natural cycle will continue and we will save more birds day by day! “It’s Not for the Birds!” RSS. Kind News Magazine, Mar. 2015. Web. 19 Oct. 2016. <http://www.humanesociety.org/news/magazines/kind_news/2015/02-03/feeding-ducks-and-geese-can-be-harmful.html>. Infection of Ducks, Geese and (2012): n. pag. Http://www.oie.int. Web. 20 Oct. 2016. “Department of Environmental Conservation.” Stop Feeding Waterfowl. N.p., n.d. Web. 20 Oct. 2016. <http://www.dec.ny.gov/animals/7001.html>. “Avian Botulism.” USGS National Wildlife Health Center –. N.p., n.d. Web. 20 Oct. 2016. <http://www.nwhc.usgs.gov/disease_information/avian_botulism/>. “Keeping Our Ducks Healthy | Canal & River Trust.” Keeping Our Ducks Healthy | Canal & River Trust. N.p., n.d. Web. 20 Oct. 2016. <https://canalrivertrust.org.uk/about-us/our-campaigns/keeping-our-ducks-healthy>. This entry was posted in Uncategorized on October 20, 2016 by Taylor Rodrigues. Well written article! The title stuck out to me because I grew up in Northeast Florida where I was constantly at the beach. Most locals are smart enough to not feed the seagulls but, the curse of living in Florida, is that there are always tourists. A quick rant, I cannot stand when adults or children feed seagulls. My irritation is not that it is harming the birds but, more so the clusterfudge phenomenon that occurs within 2 seconds of the crime. End rant. Going back to your article, I was sad to see the research supported that you should not feed birds. I grew up feeding ducks all the time; however, on the flip side, I am happy that someone finally looked into it because now I can pass the word along!! It’s interesting that ducks, geese and swans were the “infectious” group. It made me want to look up some research of my own to see if seagulls are harmed. Basically, what I got was that the food that people usually bring along with them to the beach isn’t neccesarily the healthiest for your diet so that also means it is probably not good for the seagulls either. The most common reason for not feeding the seagulls is that they swarm and then become aggressive. Please check out that link, there is a hilarious video from @ohthatstricia’s Twitter that captures such an event. Taylor, this was a really interesting blog! When I was little I lived in New York City. My mother often brought me to the Bronx Zoo and Central Park. There I’d be able to feed the ducks and also a number of animals at the children’s zoo. As I know now that was definitely not a good idea to do! However, you’re post made me wonder if feeding animals at a zoo is safe. This article explains how feeding zoos and petting zoos could cause emotional stress to animals. I guess just like the ducks, it is the same to zoo animals!